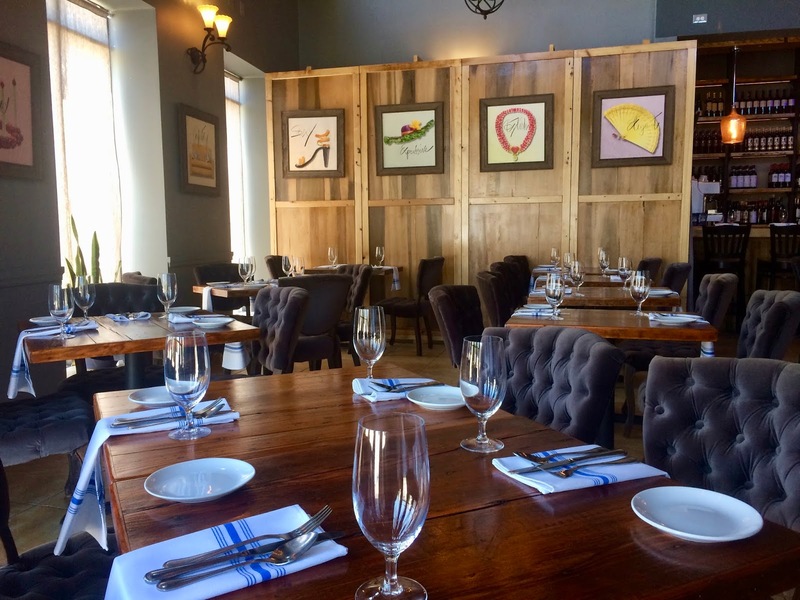 1) On Wednesday, June 13, at 6:30pm, Legal Sea Foods in Park Square will host a four-plus-course wine dinner featuring selections from the world-renowned winery, Familia Zuccardi. For over 50 years Familia Zuccardi has produced wines of exceptional quality from the soils of Mendoza, Argentina, and has since become one of Argentina’s most well-known, family owned wineries as well as a leading exporter of Argentine wine all over the world. Third generation owner of the Familia Zuccardi brand, Sebastián Zuccardi, will present the selection of wines paired with each course of the evening providing expert knowledge and history of each tasting. In 1963, Alberto Zuccardi, Sebastián’s grandfather and skilled engineer used a self-built irrigation system to begin experimenting with planting vines throughout a province of Mendoza. Those methods and experimentations are responsible for the growth and success of the Zuccardi brand today. In 2005, Sebastián took over the reins of the winery and led the development of the winery’s expansion into the Uco Valley, a cultivated oasis at the foot of the Andes, Mendoza. Today, each Zuccardi winery provides a unique combination of climate, soil and cultivating which allows each line of wines to be a true expression of where it was conceived. 2) Post 390 is teaming up with Spring Rock Farm to bring Bostonians another Farm to Post dinner with the spotlight on the farm’s Vermont Wagyu Beef. On Thursday, June 7, at 6pm, Executive Chef Nick Deutmeyer will highlight the most supreme cuts of the ‘Best Beef in the World’ from Spring Rock in this month’s menu of the dinner series. With the promise of naturally raised and primarily grass-fed beef, Spring Rock Farm ensures top quality and the freshest ingredients for guests to experience during Chef Nick’s menu. Guests will have the opportunity to mix and mingle with representatives from Spring Rock Farm, who will be onsite to share some details about their farm. The event begins with a welcome reception followed by a seated four-course dinner. Post 390’s ongoing Farm to Post series celebrates the freshest local ingredients and the inspiring people behind them, focusing on Post 390’s unique relationship with these talented purveyors. The series features rotating themes every six weeks, featuring next level farm-to-post dishes made with locally-sourced and sustainable ingredients. After the kick-off dinner, the Farm to Post Vermont Wagyu at Spring Rock Farm menu will be availably nightly (for a limited time) at Post 390. Tickets are $55 per person (inclusive of tax, gratuity, & beverage pairings) and can be purchased through Eventbrite. Reservations are required. 3) Chef Dante de Magistris and the entire team at DANTE invite guests to an Italian BBQ at their patio looking out at the Charles River. Summer is almost here and the team at DANTE is pulling out all the stops to celebrate. On Saturday, June 16, from 6pm-9pm, guests can soak in summer nights and indulge in Italian BBQ dishes and sip on refreshing beverages on the patio. Dive into Lamb Spiedini, Rabiola Burgers, and Caprese Cups, while sipping on Rosé All Day, 21st Amendment Beer, bourbon peach tea and more. To keep the good vibes coming, a live DJ will also be spinning all night long. This exclusive patio party is the perfect excuse to hit the town and enjoy the warm weather with friends and loved ones. Tickets are $75 per person (inclusive of tax & gratuity included) and can be purchased via Eventbrite. Attendees must be 21 years of age. 4) Puritan & Co.’s upcoming Rosé Rumble will offer guests the opportunity to immerse themselves in the best rosés in Boston like a true insider. Taking place on Thursday, June 14th, the fourth annual industry-style tasting event will showcase a variety of rosés for guests to taste, discuss, and learn about while enjoying unlimited bites from Chef Will Gilson and the Puritan and Co. team. The night will feature two, separately ticketed sessions- one at 6 p.m. and one at 8 p.m. Both sessions will end at 10 p.m.
Puritan & Co. always has excellent wine events and their Rosé Rumble isn't an exception. I recommend you check out this fun and delicious event. 5) CHOPPS American Bar and Grill and Executive Chef Stefano Zimei welcome guests to embrace the warmer months with a seasonal wine dinner featuring the best wines of summer from around the world, specially chosen by Sommelier Bruno Marini. Take a break from the heat and join CHOPPS American Bar and Grill on Friday, June 8, starting at 6:45pm, to sample some of the best wines for summertime paired with a decadent four-course meal from Executive Chef Steve Zimei. The dinner will feature notable vineyards including: Perrier Jouet, Shafer Vineyards, CADE Estate Winery, Ramey Wine Cellars, and Anew Wine. This one-of-a-kind summer wine dinner features a lineup of expertly selected pours to enjoy during the warm weather from CHOPPS Sommelier Bruno Marini paired with dishes for the ultimate summer culinary celebration. 2016 Rose Chateau Ste. Michelle ‘Anew’, Columbia Valley, WA. Seats are available now for $85 per person (inclusive of tax & gratuity). Space is limited and reservations are required. Call 781-221-6643 directly to book seats. A credit card is needed to secure a reservation. or visit the ticket link here. 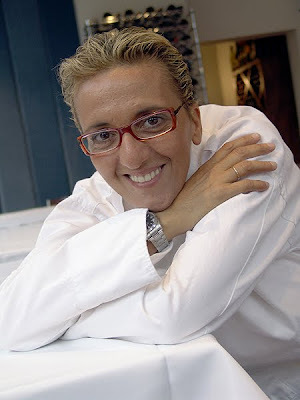 Famed Chef Marisa Iocco has returned to helm the kitchen at Spiga, an Italian restaurant located in Needham, and that is great news! A native of Orsogna in Italy’s Abruzzo region, Marisa moved to the Boston area in 1990 and has spent the last nearly 30 years working in a variety of well lauded Italian restaurants. The first restaurant she opened was Galleria Italiana, which earned many raves. Since then, she has opened or assisted in restaurants including La Bettola, South End Galleria, Bricco, Umbria, Mare, Gennaro's Five North Square, and Scopa. Back in 2009, she helped to transform Spiga and that was the first time I experienced her stellar cuisine, including her sublime Bread Pudding. Last year, Marisa returned to Spiga, to become their Executive Chef, assist owner Carmelo Iriti, and transform their menu. For more insight into the mind of Chef Iocco, check out my prior Culinary Creativity Interview. I recently dined twice at the new Spiga, once for dinner as a media guest and a second time for lunch on my own. Spiga is open for lunch Monday through Friday, 11:30am-2pm, and for dinner Monday through Saturday, 5pm-10pm. With the warm weather, Spiga has an outside patio and on the day I had lunch, the patio was quite busy due to the beautiful weather. The restaurant is medium-sized with an intimate and cozy ambiance. The intriguing pictures on the walls all have a single word within them, and the pictures are composed of the images of pieces of fruit. There is also a small bar at the back where you can sit, have some wine and enjoy some delicious Italian cuisine. I like that there is an open kitchen area, with a wood-fired pizza oven. Chef Iocco was present on both of my visits, working in the kitchen, ensuring everything was up to her standards. The Dinner Menu is divided into Guazzetti, single-serve pots of simmered stews of meat, fish or vegetables (6 options, in 2 sizes, for $15-$22), Cicchettis, Italian “tapas” meant for sampling and sharing (7 options for $14-$16); Insalate (3 options for $10-$14), Primi, pasta dishes (10 options for $19-$24), Secondi (9 options for $27-$32) and Contorni, sides (3 options for $8 each). 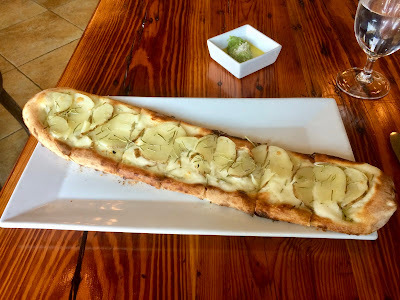 The Lunch Menu is a bit smaller, with Guazzetti (6 options for $16 each), Cicchetti & Insalate (5 options for $11-$16), Paste & Secondi (6 options for $14-$23), Panini (4 options for $14 each), and Fame di Pizza (5 options for $14 each). The menus have something for everyone, no matter what your preference, whether it is seafood or vegetarian, steak or pasta, chicken to lamb. Portion sizes are ample without being overwhelming. There are usually daily specials available which might entice you from ordering off the menu. A number of the recipes honor the Abruzzo region of Italy. 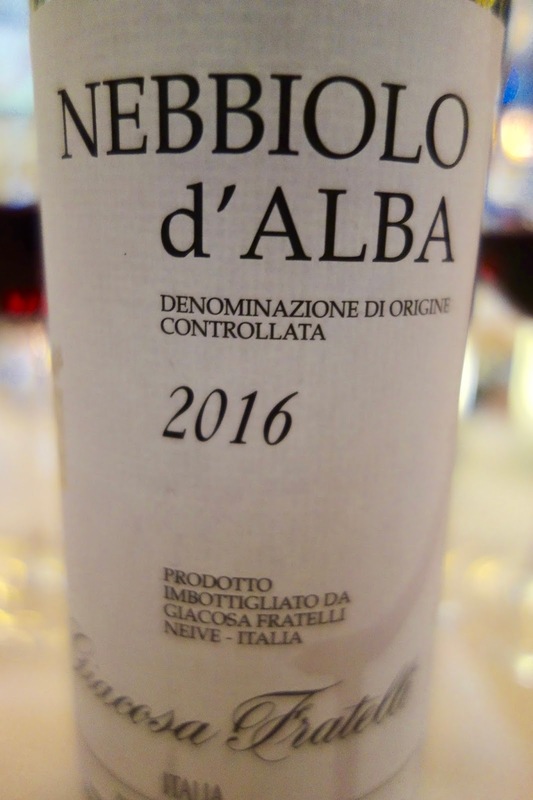 With dinner, we ordered a bottle of the 2016 Giacoso Fratelli Nebbioli D'Alba, a young and fruity Nebbiolo, easy drinking and excellent for pairing with a variety of dishes. The wine list has plenty of good choices for Italian wines, and they have numerous other wines from other regions too. 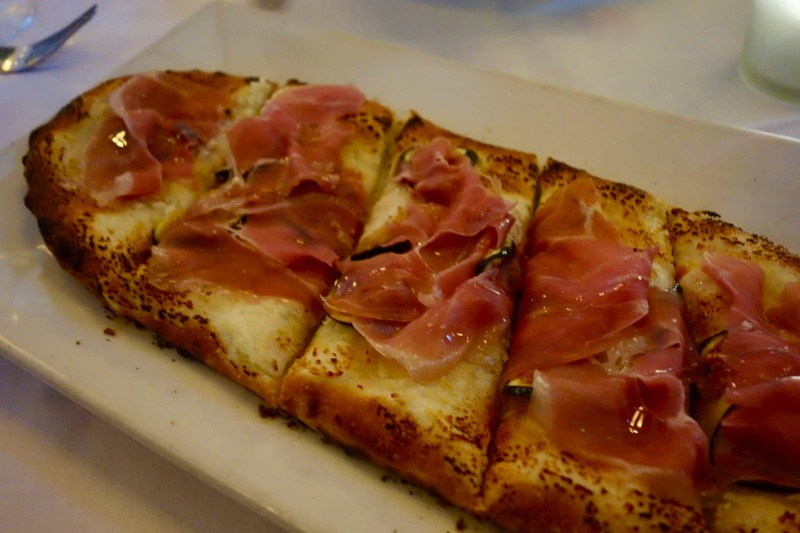 We began out dinner with one of the Dinner Specials, a Pizza with fig, ricotta and prosciutto. Chef Iocco states that her pizza is a cross between Roman and Neopolitan, with Abruzzo accents. It had a delightful crust, not too thick and slightly chewy, with plenty of toppings, a nice blend of sweet and salty flavors. It is a good-sized dish and easy to split with two or three people. We then enjoyed a couple of the house specialties, the Guazzetti. Allegedly, the term derives from the archaic Italian guazzo, which literally means "a ford," as in a shallow place where you can cross a river. This is similar to the English term "wade" and it is said that the main ingredients in these Guazzetti stews "wade" in the juices. Spiga seems to be the only local Italian restaurant offering these Guazzetti and it is worth visiting Spiga just to try these delicious and intriguing stews. The Cape Bay Mussels & Manila Clams Guazzetto is prepared with chickpeas, smoked Italian peppers and a spicy, cherry tomato broth. The broth contained a great depth of flavor, with a mild spiciness, and was excellent for dipping your bread. The shellfish was tender, the broth making for a tasty coating, and the chickpeas and peppers were tender too. 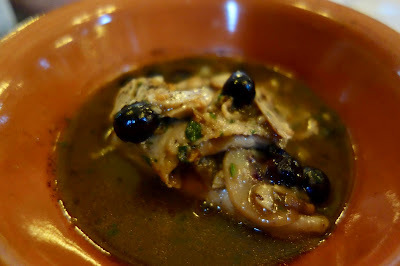 The Veal Shoulder Guazzetto was prepared with porcini mushrooms, smoky coffee dust and blueberries. Once again, the savory broth had an excellent depth of flavor and the veal was tender and flavorfu. The blueberries added an fascinating element to the dish, a touch of sweetness to the more earthy flavors of the broth and veal. The coffee dust was more subtle, with a touch of smokiness the most evident aspect. An impressive and unique dish. 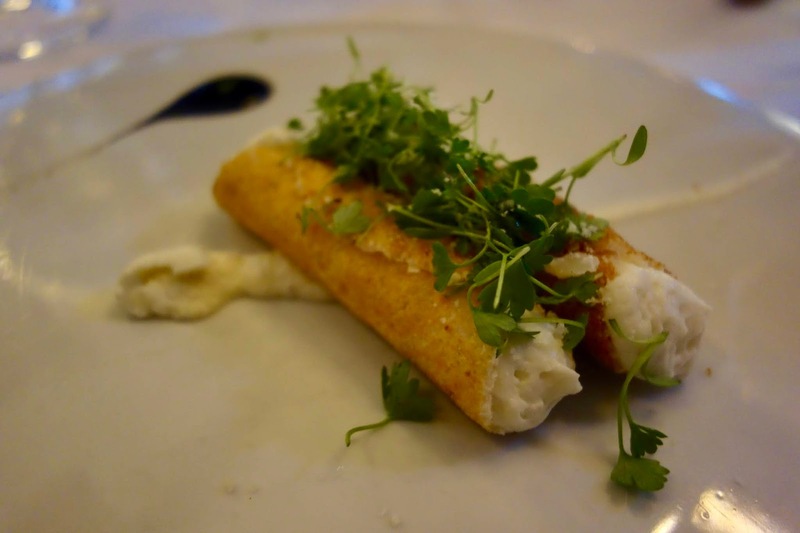 The Cauliflower Cannoli is a visually stunning dish, looking more like dessert. The cannoli was fresh and crunchy, containing a creamy interior of cauliflower, almost a whipped blend. Even though I'm not a big cauliflower fan, this was tasty and interesting. If you love cauliflower, then this is going to please you immensely. From the Primi section, I opted for the Timballo, made with crespelle (kind of an Italian crepe), meat ragú, and locally sourced dried mozzarella. What an amazing dish, such perfect comfort food! 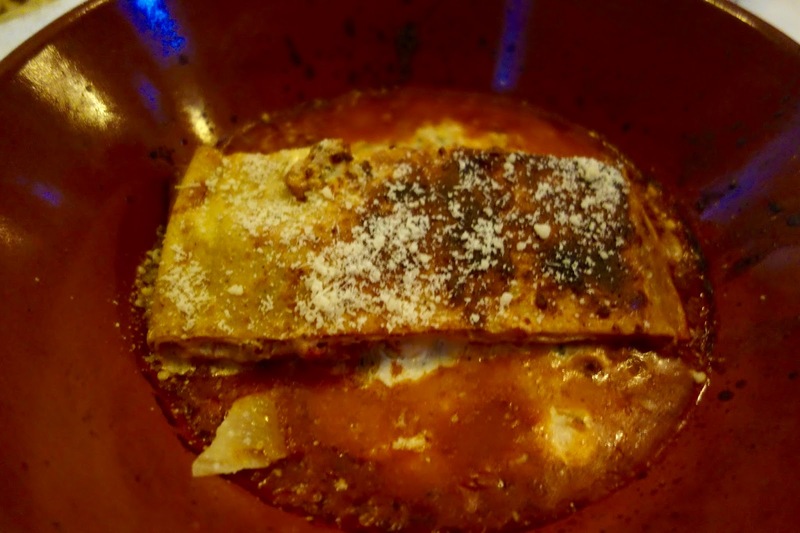 It reminded me in some respects to a lasagna, though the crespelle is softer. The ragú contained plenty of flavorful meat in a superb red sauce, and there was lots and lots of gooey cheese. It is a hearty dish so bring your appetite. Highly recommended! I'll note that Spiga uses handmade pastas, made predominantly in-house, are there are gluten-free options. 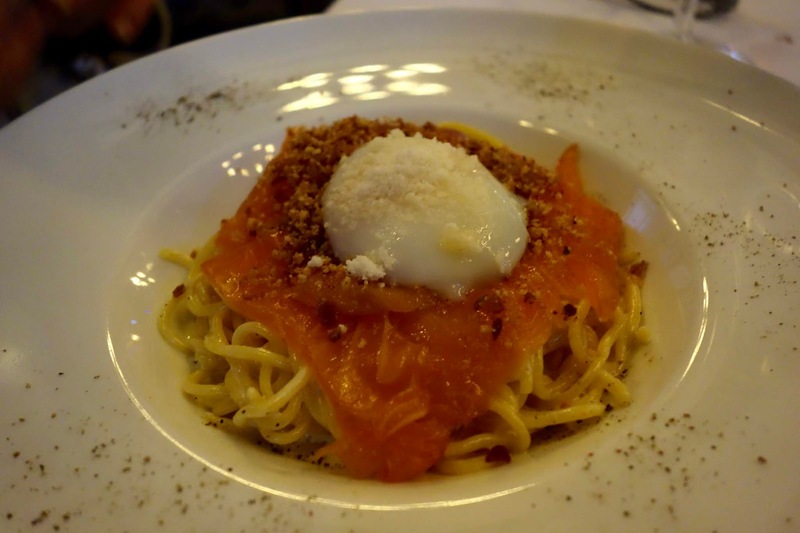 The Spaghetti All Carbonara is made with house-cured smoked salmon, poached egg, Parmigiano-Reggiano cheese and pancetta dust. The pasta was cooked perfectly al dente and the dish had a pleasing creamy taste, though no cream was used in its creation. The plentiful smoky salmon was an intriguing touch, especially with egg yolk flowing atop it. Another good choice. 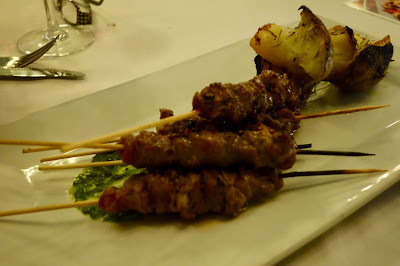 For a Secondi, we chose the Lamb Arrosticini, grilled lamb skewers, wood oven-roasted rosemary potatoes and a chimichurri sauce. As their website states, most of the Secondi dishes are "kissed by the heat of la furnacella...what we call our charcoal pit where we burn aromatized wood to roast, grill and smoke our meat and fish." This is a popular dish in Abruzzo, where lamb is a common meat. The lamb was delectable, tender and meaty with tasty blend of spice and seasonings, and the touch of smoke from the grill. The potatoes were excellent too, with a great crunchy exterior leading to a more fluffy interior. 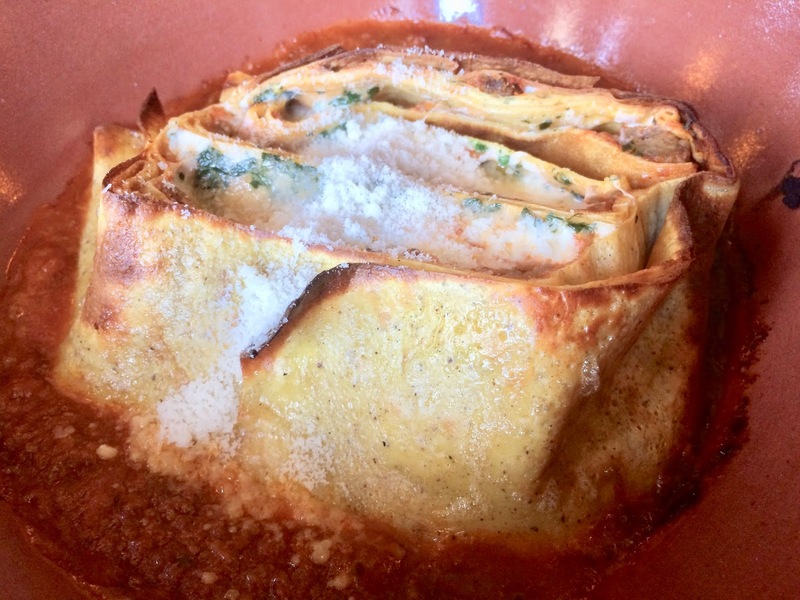 On my lunch visit, I ordered the Timballo again, which had a different look from the one I previously had for dinner. It almost looks like the lunch version was turned on its side. It was equally as large and equally as scrumptious. So much flavor in a great comfort dish. For lunch, I also selected a Potato Pizza, with tender, thin slices of potato covering nearly all of the soft and crisp crust. As you can see, the pizza is quite long and easily could feed two people. For both dinner and lunch, I had to order dessert, because I yearned once again for Chef Iocco's famous Bread Pudding, topped by a salty caramel sauce. The Dessert Menu has 7 options (for $9-$12), such as Sicilian Cannoli and Torta Caprese, but for me, there was no real choice. It had to be the bread pudding. After dinner, the first spoonful of bread pudding was pure bliss and I have to admit that I might have let out a soft moan of pleasure. 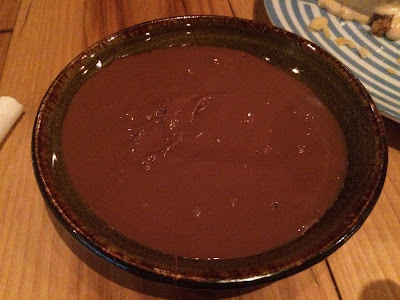 Every subsequent spoonful was absolutely delicious, a hedonistic treat which I cannot recommend enough. Great texture to the bread, a nice blend of sweet and salty in the sauce, and nice hints of vanilla. It was equally as good at lunch and I wouldn't judge you if you started your meal with the bread pudding. And as a bonus, let me provide a copy of the recipe for Chef Marisa Iocco's Bread Pudding, which I've had since 2009. You're on your own for creating a sauce to top the bread pudding. --In a saucepan, combine cream, milk, sugar and vanilla bean, and bring to a slow boil. Remove the mixture from the heat and allow it to cool and steep for one hour. --In a bowl, whisk the eggs, then pour in the vanilla-cream mixture and stir. Next, add the bread cubes and allow it to sit just long enough to soak up most of the liquid. --Pour mixture into a rectagular cake pan at least 4” deep. Cover tightly with foil. Place that pan into a slightly larger pan, then add about two inches of water to the larger pan to create what’s called a “bain marie” or water bath. This provides moisture during baking. --Bake at 375 degrees for two hours. Remove from oven; let pudding “set” briefly. Cut into squares. Serves 8 generously. It's great that Chef Iocco is back at Spiga. The food is diverse, plentiful, creative and delicious. And that Bread Pudding! Service was generally excellent, with one small issue at lunch that was quickly and professionally handled. It is easily accessible off Route 95, via the Highland Avenue exit, and it is also only a couple minutes from the Bin Ends wine shop. So, you can go wine shopping at Bin Ends and then have lunch or dinner at Spiga. Or vice versa. "We drink wine to share emotion." The country of Georgia may be the birthplace of wine, with archaeological evidence of wine making stretching back about 8,000 years. Georgia is located at the crossroads of Western Asia and Eastern Europe, in the Southern Caucasus mountain range, which forms the northern border of the country. It is bordered on the west coast by the Black Sea, by Russia to the north and Turkey & Armenia to the south, with Azerbaijan to the south and east. Wine is integral to the culture of Georgia and though it has a lengthy history of wine, its modern wine industry is relatively young, still recovering from when Stalin controlled the country and its wine industry. I'm enamored with Georgian wines, loving their ancient history, the diversity of their 500+ indigenous grapes, and their traditional wine making methods such as the use of the qvevri. My first review of a Georgian wine was ten years ago, back in 2008, when there was little press about their wines. I've currently written 20 articles on Georgian wines and food, having reviewed about 100 of their wines. I guess that is indicative of my passion for these wines. I've also referenced Georgian wines, generally as a category, in numerous other articles on my blog. At the wine shop where I work, I've often recommended Georgian wines to the customers. In addition, I've presided at two presentations on Georgian wine, in New York City and Chicago. To help bring more visibility to Georgian wines, I've compiled all of the links to my Georgian wine posts into this single article. This post will be a repository of those articles and I will update it when I write a new article about Georgian wines. "Wine is the Georgians’ poetry and their folklore, their religion and their daily bread." 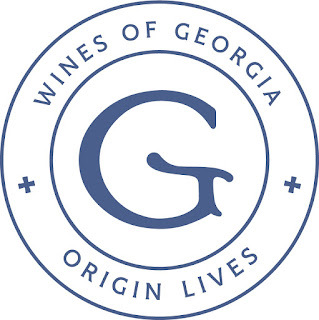 "Present-day Georgia may occupy the land where the vine itself was first domesticated; it’s recently surrendered to archaeological attention the world’s earliest pure-wine residues, dating back some 8,000 years. It has an extraordinary patrimony of indigenous varieties, and unique wine-making techniques, too, unchanged for a millennium or more; these have proved seductively interesting for the natural wine movement worldwide, and for those who perceive modern winemaking as an impasse." In Georgian Wine: All About Context (Part 1), I discussed attending a recent seminar, titled "Georgia in Context," presided over by Alice Feiring, a Georgian wine expert and proponent of natural wines, and Taylor Parsons, a sommelier from Los Angeles. 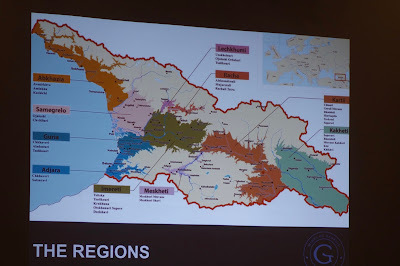 In that previous article, I related the essential information about Georgian wine that was presented at the seminar. Accompanying this presentation, we also were led through a tasting of four different Georgian wine flights, totaling about 14 wines, and I now want to talk about those wines. Nearly all of the wines we sampled would be considered "natural wines," which shouldn't be a surprise as Alice Feiring was one of the presenters. In general, these wines were produced in a traditional manner, using indigenous varieties (often from organic vineyards), stem & skin maceration, fermentation and/or aging in qvevri, natural yeasts, and no filtration or fining. These producers also tended to be small operations, making under 3000 cases annually. In general, I found these wines to be some of the "cleanest" natural wines I've tasted, lacking the "funkiness" that turns off some people. The white wines certainly are more savory than fruity and I love the transformation that occurs with the extended skin contact. The acidity tends to be high in many of these wines, making them excellent for food pairings as well as aging. I also enjoy the diversity of the red wines, especially Saperavi, which can be made into so many different styles. Although these qvevri wines only comprise about 3% of the total production in Georgia, they are still important and worthy of attention. We were supposed to start our tasting with a Georgian Pétillant Naturel (Pét-Nat), a sparkling wine made in the méthode ancestral, but it didn't arrive in time. There are about seven producers in Georgia currently making Pét-Nat, usually with the Chinuri grape. Instead, we sampled the 2015 Orgo Mtsvane Brut Blanc de Blanc, sourced from 50 year old vines. The base wine is fermented in qvevri, but without skin contact, and is aged for about two years in the bottles. It is made more in an international style, and I found it to be crisp and dry, fresh and savory, and a pleasant drink. Our First Flight was a comparison of the white wines of West and East, two wines from Imereti and two from Kakheti. The 2016 Makaridze Tsolikouri is produced by a winery, founded in 2009, which is located in Imereti. Tsolikouri is the primary white grape of the West. This is a natural wine, with a fine amber color, crisp acidity, a delicious savoriness with intriguing spice notes. The 2016 Vino Martville Tsolikouri-Krakhuna, also from Imereti, is a blend of two white grapes and also is a natural wine. It was a bit more cloudy, very aromatic, and with high acidity and nice complexity. Representing the East, the first wine was the 2014 Okro’s Wines Rkatsiteli, from Kakheti, and it too is a natural wine, fermenting in qvevri for about six months. With a darker amber color, this wine was impressive, with intense aromatics and a complex melange of flavors. Powerful spice notes, high acidity, salted almonds, dried fruit, and more. This is a wine to slowly savor, enjoying its subtle nuances as it sits in your glass over time. Highly recommended. The 2013 Cradle of Wine Rkatsiteli Blend ‘Gogi’s Wine’ is also a natural wine from Kakheti that is macerated in the qvevri for about six months and is then aged for another three years in qvevri. It too was interesting and delicious, though maybe a bit less complex that the Okro. Our Second Flight was named Other Stars, meant to showcase some of the other indigenous white grapes of Georgia. The 2016 Archil Guniava Wine Cellar Krakhuna, another natural wine, is from Imereti, made from the Krakhuna grape. It was aromatic and fruity, with crisp acidity, spice notes and was very approachable. This would be a good choice to introduce a newcomer to the wines of Georgia. The 2015 Tchotiashvili Mtsvane, a natural wine from Kakheti, is made from the Mtsvane grape. I found this wine to be aromatic and spicy, herbal and savory, and quite tasty. There were some subtle stone fruit flavors that provided a nice depth to the wine. Highly recommended. The 2015 Do-Re-Mi Kisi, a natural wine from Kakheti, is made from the Kisi grape. It possessed high acidity and was more tannic, accented by floral and spice notes. The 2016 Orgo Kisi Old Vines, a natural wine from Kakheti, is also made from the Kisi grape. Some of the old vines extend back to 1930. This wine was also acidic and tannic, with floral and spices notes, as well as the taste of ripe peaches. It was more complex and concentrated than the other Kisi and I really enjoyed its taste. Highly recommended. The Third Flight, titled Modern Approaches, and presented three Saperavi wines, the primary red grape of the East. Saperavi grapes were once used to color yarn and silk dyes, and now can be used to produce a wide range of wine styles. Saperavi is one of the few red grapes with both high acid and high tannins, like Nebbiolo and Cabernet Sauvignon, making it excellent for aging. The 2015 Doqi Saperavi was light and fresh, with mild tannins, high acidity, and plenty of red and black fruit flavors. Very approachable, and a wine that could pair well with burgers to pizza. The 2016 Chubini Saperavi, another natural wine, was also very fruity and soft, with a touch more tannins than the Doqi, but just as tasty and easy drinking. It was said this wine was uncommonly fruity for a qvevri wine. The 2014 Lukasi Saperavi was made in a more international style, being aged for about 12 months in French oak. Modeled after Napa Cabernet, this wine was pleasant but not impressive. Personally, I'm not looking for Georgian wines that mimic California wines. The Final Flight, titled Indigenous Reds, presented three more wines, two made from Saperavi and one from a different red grape. The 2015 Gotsa Saperavi Rosé, from Kartli, is a natural wine and their vineyards should soon be certified Biodynamic. It was more of a light red color, rather than a pale pink, and was dry and crisp, with subtle red fruit flavors and a touch of earthiness. Very interesting and delicious, this would be pleasant this summer while you grill outside. The 2014 Shalauri Saperavi, another natural wine from Kakheti, was a bigger wine, yet still elegant and not overly tannic. There were more black fruit flavors, underlying spice notes, and a touch of savoriness. Absolutely delicious and highly recommended. This is a wine for hearty foods, like grilled meats, and something that would appeal to Cabernet lovers. The 2015 Vartsikhe Otskhanuri Sapere, a natural wine from Imereti, is made from the Otskhanuri Sapere grape, a major one on the East and not related to Saperavi, despite the similarity in its name. It is said to be more akin to Cabernet Franc, and I enjoyed this dark and flavorful wine, with plenty of red and black fruits, mineral notes, hints of spice and a lengthy finish. Also highly recommended. Once again, I'm impressed by the wines of Georgia. If you're not drinking Georgian wines yet, then you need to expand your vinous horizons and sample the bounty of this fine country. With over 500 indigenous grapes, 8000 years of wine-making, and some fascinating methods of wine production, you should fine plenty of interest in Georgian wines. The Wine Advocate is back at it, scoring Sakes, and their newest article is moving toward the worst elements of the wine scoring system. I continue to vehemently disagree that such scores are helpful in promoting Sake and have seen no evidence that the Wine Advocate's articles have helped the Sake industry. Even the Wine Advocate readers rarely discuss Sake on their forums and there haven't been any posts about their new Sake article and reviews. This new article is their first Sake-related item of 2018. I've ranted about this issue numerous times, as far back as 2013, and you can check out the progression of my previous posts: Rant: Sake Don't Need No Stinkin' Scores!, Rant: Sake Still Don't Need No Stinkin' Scores!, Update: Sake Still Don't Need No Stinkin' Scores! and Ugh! More Stinkin' Scores For Sake From Wine Advocate. Perfect for who? Perfect just for Hao's palate, or does he have some "objective" standard for evaluating what would be a perfect Sake? Would another reviewer also agree if Hao scored a Sake with a perfect 100 points? Is that the purpose of all of Hao's Sake reviews, to find a "perfect Sake?" 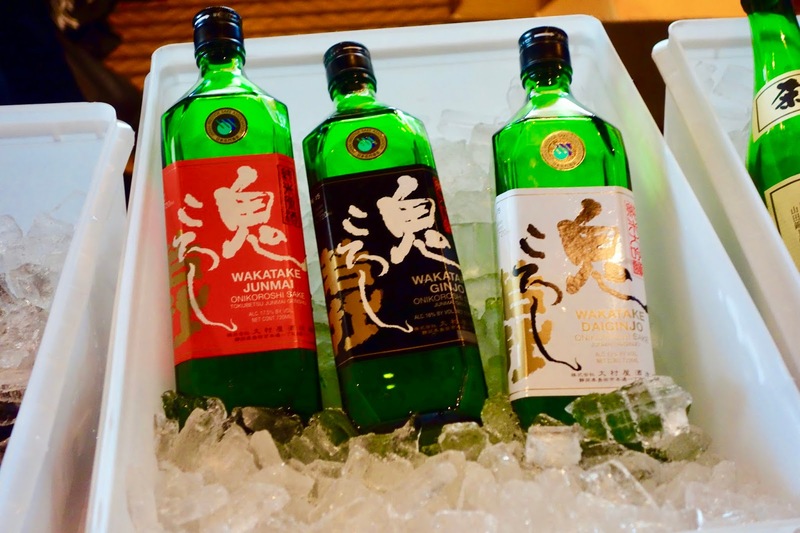 Are general consumers seeking a "perfect Sake?" Would Hao's time be better spent addressing different aspects of Sake? Yes, there are so many better topics Hao could address rather than a search for a 100 point Sake. In his latest Sake reviews, Hao awards two Sakes his highest score yet, 99 points, besting his previous high of 98 points. The Asahi Shuzo Dassai Migaki Sonosakie Junmai Daiginjo (about $750) and the Takagi Shuzo Juyondai Ryusen Junmai Daiginjo (about $4500) both scored 99 points. Based on those prices, the average consumer will probably never get to taste either Sake. Such reviews are catering more to the wealthy, who'll probably buy up all of the available bottles to display as trophies in their cellars. Such reviews won't cause more average consumers to try Sake for the first time, and might even turn them away. The rest of Hao's article discussed how he and some friends decided to sample some of the most expensive Sake bottles available, which is how those selections ended up on his list of reviews. And they intend to drink more of the pricey Juyondai Sakes later this year, which could eventually lead to the "100 point" Sake. Why does that have to be their objective? It might be a checkmark off Hao's bucket list, but does it do a service to the readers of Wine Advocate? Does it do a service to the Sake industry? As I've said before, Sake articles and reviews are great, but we don't need scores. Such scores cause more harm than good and tend to turn away more consumers than they attract. The Wine Advocate does a disservice to the Sake industry, appealing primarily to the wealthy who want trophy Sakes. It doesn't have to be that way. And it shouldn't be that way. Sake Don't Need No Stinkin' Scores! Fiano is an indigenous Italian grape that might extend back to the time of ancient Rome. It has been theorized, without definitive evidence, that Fiano might be the same grape written about by Pliny the Elder and Columella, referred to as Vitis apianes ("Vine of the bees"). Besides its potentially ancient origins, Fiano also produces delicious and interesting white wines. 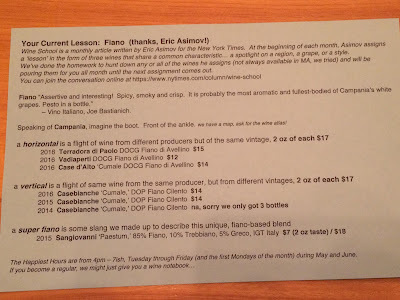 If you want to learn more about Fiano, then I strongly recommend you visit Asta, a tasting menu restaurant located at 47 Massachusetts Ave. in Boston. Theresa Paopao, Asta's sommelier, has recently started a Wine School, an afternoon wine lounge inspired by New York Times wine critic Eric Asimov’s monthly column. Asta's Wine School is in session from Tuesday to Friday, from 4pm-7pm. Recently, my good friend Adam Japko and I stopped by Asta to check out the new Wine School and we both were equally impressed. 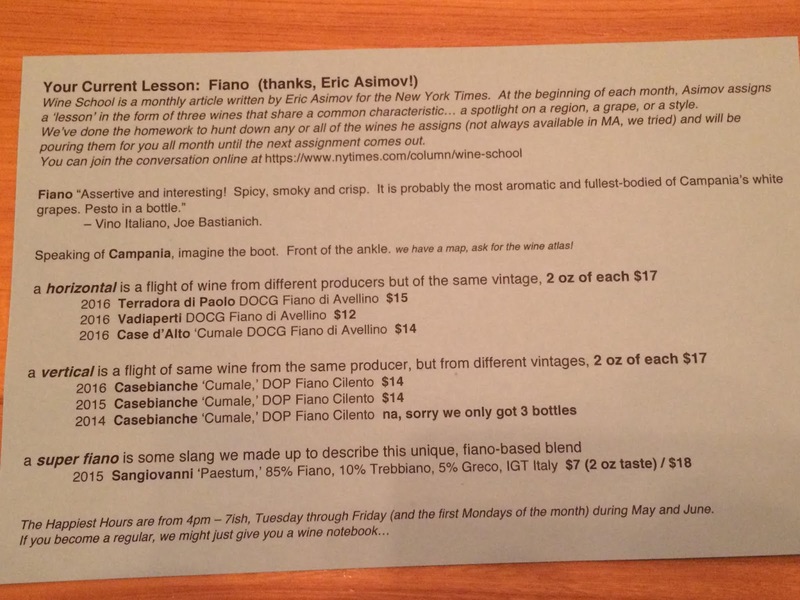 Back on April 26, Asimov's Wine School post dealt with Fiano, so this month, Theresa is highlighting that grape. Theresa has selected seven Fiano wines, from the Campania region of Italy, to showcase, six single-varietal and one blend. All of the wines are offered by the glass, though you can also order a horizontal or vertical flight of three wines. I'd suggest you try the flights, as comparison tastings are an excellent way to better understand the various expressions of a grape. Not all Fiano wines are the same. This Wine School is completely causal and informal, and Theresa will provide you as much, or as little, information as you desire about Fiano and the wines. Theresa is very knowledgeable and personable, and is a fine host for wine school. Her own passion for wine can be infectious and you won't regret stopping by to taste some wines. In addition, Wine School offers a small list of à la carte dishes which have been specifically created to pair well with your wine. We ordered a few of the dishes and they were delicious, the usual high quality we expect from Asta. The Whipped Salt Cod, atop toast, is a relatively simple dish, but was well executed and addictive. Creamy and salty, with that touch of the sea, it did pair very well with the various Fiano wines. And it is something I'd love to replicate at home. 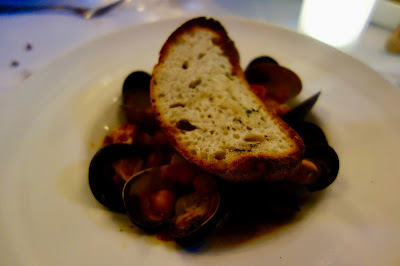 The Pickled Mussels were another relatively simple dish, beautifully executed, and absolutely tasty. The Octopus, atop a Johnnycake, was cooked perfectly, being tender and flavorful. Fiano and seafood is an excellent combination! Fiano is primarily grown in the Campania region of southern Italy and on the island of Sicily. In 2003, the area around Avellino in Campania received DOCG status. Fiano di Avellino DOCG wines must contain at least 85% Fiano, and the rest may include Coda di Volpe, Greco, and Trebbiano. Fiano, which produces low yields in the vineyard, faced possible extinction in the later half of the 20th century, but a small group of producers chose to save it, planting more vineyards, especially in the Avellino region. Fiano wines are commonly said to possess intense aromas and strong flavors, and can age well. Adam and I decided to taste all seven Fiano wines, both flights and the single blend. The horizontal flight ($17/three 2 oz pours), included three wines, all from the same vintage but from different producers. The wines included the 2016 Terradora di Paolo, DOCG Fiano di Avellino ($15/glass), 2016 Vadiaperti DOCG Fiano di Avellino ($12/glass), and 2016 Case d'Alto DOCG Fiano di Avellino ($14/glass). All of these wines saw only stainless steel, and possessed crisp acidity, mineral elements, bright citrus flavors, and honey notes. Yet each possessed its own individuality as well and your favorite will be based on your personal preferences. My favorite of the three (though I enjoyed all of them) was the Vadiaperti, as besides being simply delicious, it possessed an intriguing complexity, with notes of honey, pear, apple and lemon, bright acidity, mineral elements, and salted nuts. I could easily enjoy this wine on its own, though it went well with the seafood as well. The vertical flight ($17/three 2 oz pours), included three wines, all from the same producer but from different vintages. The wines included the 2014, 2015 and 2016 vintages of the Casebianche Cumale DOP Fiano Cilento. The Fiano grapes for these wines is from 10-20 year old vines, and the wine sees only stainless steel and then a couple months of bottle aging. In general, these wines all presented with crisp acidity, mineral elements, hints of brininess, bright citrus flavors, and some herbal notes. The 2016 vintage was obviously the freshest and most bright, with the two other vintages starting to get more savory and less fruit notes. I preferred the 2014 vintage, enjoying its more savory aspect, with an almost umami element. The final wine of the evening, which Theresa referred to as a "Super Fiano," was the 2015 Sangiovanni Paestum, IGT Italy ($7/2 oz taste or $18/glass), a blend of 85% Fiano, 10% Trebbiano, and 5% Greco. The wine spent about 8 months aging in stainless steel. I was enamored with this wine, finding it to be complex and intriguing, delicious and compelling. So much going on in the glass, with notes of honey and citrus, saltiness and bright acidity, minerality and herbs. It possessed some similarities to the other Fiano wines, but had its own uniqueness as well. It paired well with all of the seafood, though I could easily sit outside and sip this on its own. Theresa did a great job of selecting wines for her Fiano Wine School and you can still taste the wines tonight or next week at Asta. Next month, Theresa will follow the theme of Asimov's next Wine School article, so look forward to see which region, grape or style gets chosen. Asta's new Wine School is a great way to casually taste and learn about some new wines, while enjoying some delectable small plates, paired with the wines. 1) On Thursday, May 31, from 6pm-8pm, CHOPPS American Bar and Grill welcomes guests to the outside Terrace at CHOPPS to celebrate the summer season with a Tunes & Tequila event featuring live music from Ward Hayden, appetizers from Chef Steve Zimei and summer cocktails by Maestro Dobel Tequila and Hanger 1 Vodka. Tickets are available for just $20 per person and include a variety of mini cocktails and passed hors d’oeuvres from Executive Chef Steve Zimei. Zimei’s hors d’oeuvres for the evening including Double Cut Bacon Bites, Kobe Meatballs with shaved parmesan and tomato sugo, Bocconcini, Tomato and Basil Skewers, Bruschetta with whipped avocado marinated tomato, and goat cheese, and Chicken & Waffles with pink pepper corn butter. Tickets are available on Eventbrite. Call 781-221-6643 directly to book seats. CHOPPS always puts on fun and tasty events, and the specific hors d’oeuvres being served for this event sound delicious. I will be attending this event and hope to see some of my friends there as well. 2) On Tuesday, June 12, at 6:30pm, you are invited to indulge in wines from Tuscany’s San Felice Winery alongside a five-course meal at il Casale Belmont. Countless generations of Tuscan farmers have produced exceptional wines at the San Felice Winery and on June 12, Bostonians will have the chance to experience the best of Italy’s Chianti and Brunello wines. Traditional techniques developed by native villagers have fused with modern advancements to celebrate the region’s wine, while also preserving the Chianti landscape. The team at il Casale Belmont, led by Chef/Owner Dante de Magistris, invite guests to learn more about San Felice at their Chianti and Brunello Wine Dinner. With roots tracing back to antiquity, San Felice’s land has been utilized by many over the years—ranging from nuclear families to the Papacy. 1970 saw the vineyards come into their current ownership of the Allianz Group. The company worked arduously to restore the land to its prime form, where they now produce some of Italy’s most famous Chianti Classico and Brunello di Montalcino Bolgheri wines. Marco Secola will be in attendance to further illustrate the colorful history of San Felice. Wines will be available for purchase at CUVEE Fine Wines, just doors down from il Casale Belmont. Price is $125 per person inclusive of tax and gratuity. Reservations are suggested and can be made by calling 617-209-4942. Tickets are also available on Eventbrite. 3) At this year's Seafood Expo North America, one of the hottest new fish was the Ōra King Tyee Salmon, farmed in New Zealand. A product of a nearly 25 year old sustainability program, these salmon area raised in the Te Waikoropupu Springs. These salmon easily run over 30 pounds and they have recently come available on the commercial market, although they only sell (worldwide) about 40 salmon each month. Originally from British Columbia, the Tyee salmon are quite large, maturing over the course of four years rather than the usual two. The taste is supposed to be exquisite, and the flesh has plenty of healthy Omega-3s. The Ōra King Tyee Salmon has received Best Aquaculture Practices (BAP) certification from The Global Aquaculture Alliance, and Best Choice from Seafood Watch. Get over your fears about farmed salmon as they don't apply in this case. The media likes to publish scare stories about seafood, even if they are based on out-dated and inaccurate information. This is high quality, sustainable farmed salmon which should please any palate. This is the perfect opportunity to taste this rare salmon, and Legal may be the only restaurant currently serving this fish. 4) Chef Kevin Scott and the Scorpion Bar Boston team are kicking off a brand-new Taco Tuesday special. Every Tuesday from 4pm until 10:30pm, Scorpion Bar Boston will offer a special build-your-own taco option for just $3 per taco. Guests can build their ultimate taco with an extensive selection of tortillas, protein, toppings, salsa, sauces, and cheese – for thousands of possible taco combinations. Taco Tuesday specials will be available at the bar and in the dining room, as well as on the terrace at Scorpion Bar with bistro windows that overlook Seaport Blvd. Taco Tuesday guests will receive a checklist to build their personal taco creation. Start with your pick of tortilla (gluten-free corn options available), then choose from a selection of 10 protein options, including traditional Carne Asada, Chicken, and Pork as well as vegetarian-friendly options like Quinoa, Red Rice, and Black Beans. Stack your taco with toppings like pickled onions, roasted squash, pickled jalapenos, charred tomatoes and more, before topping it off with your choice of salsa including options like cucumber pico de gallo and pineapple jicama salsa, followed by sauces that range from avocado puree to zesty Cholula aoili, and topped with your choice of cheese. Fusion cuisine can get a bad rap, albeit with some justification based on some very poor examples of fusion. However, most international cuisines are actually fusions, using and adapting various ingredients, techniques and recipes from different cultures. For example, Japanese tempura has its roots in Portugal and in Peru, Japanese immigrants helped to create Nikkei cuisine, a fusion of Japanese and Peruvian cuisines. In Boston, Taranta is a restaurant that serves a superb fusion of Peruvian and Italian cuisines. And recently, I enjoyed a new fusion cuisine, one which is worthy of its own restaurant. To honor Cinco de Mayo, Committee created a special "Grexico" menu, fusing Greek and Mexican cuisines. They stated part of the inspiration, "Fusing the two cuisines is a new trend that is starting to pop up around the country, most recently with fast casual Souvla and Tacolicious in San Francisco teaming up to create Souvalicious Lam mole tacos earlier this month." The menu was only available for five days but I fervently hope it returns, or they decide to open a new restaurant dedicated to this fusion, as the food was absolutely delicious and the fusion worked so very well. Much of this special menu was created by Sous Chef Luis Figueroa, with assistance from Chef Theo Tsilpanos, as many of these dishes are recipes Figueroa grew up eating. Figueroa has over a decade of culinary expertise, garnering experience as a chef and kitchen manager, with a pedigree including Grill 23 & Bar and Mistral. With Mexican roots and expertise in Mediterranean cooking, Sous Chef Luis Figueroa combines Latin flair with modern Greek cuisine. About this menu, Figueroa stated, "Mexican and Greek flavors work well together because there is a big focus on freshness and working with what’s around you in both cultures. Mexicans eat like Greeks! Our feasts are similar, the tables are always full. They have pita, we have tortillas. They have tzatziki, we have guacamole. We are also surrounded by sea and we have a lot of dishes that involve seafood. Like the Greeks the grilling and seasoning of whole fish is similar. Mexican grandmas are very similar to Greek grandmas as recipes are passed down from generation to generation." The full Grexico menu included 3 Drinks, 6 Antijitos ("little cravings"), 3 Tacos, 1 Dish for the Table, and 2 Desserts. I was invited as a media guest to sample the menu and I was impressed with the intriguing balance of Greek and Mexican ingredients in each dish. These were well-crafted recipes, executed well and made me crave more. During our dinner, we sampled several different cocktails. The Baecation ($14) is made with Wray & Nephew overproof rum, Cynar, Licor 43, banana syrup, coconut, and lime. It certainly would be a fine summer-time cocktail, though it was a bit too sweet for my own preferences. The Piscoteca ($14) was more to my preferences, made with Pisco Barsol Verde, house-made tropical fassionola syrup, and lime. It was more dry, with intriguing tropical fruit flavors and a delightful vein of the Pisco. Very refreshing, it would also be a nice summer cocktail. The Holy Smokes ($14), made with Del Magüey Vida mezcal, Lillet Blanc, lemon, cinnamon, and tepache, comes in a tall, fun glass. The smoky agave spirit is prominent, enhanced by the spice and citrus, making it complex, refreshing and delicious. A third excellent choice for a summer cocktail. We didn't sample the entire menu, though what we missed sounded intriguing as well, such as the Mexican Street Corn ($8), with a spicy jalapeno mayo and crumbled feta. The Pickled Octopus Tostada ($16) is made with chipotle aioli, Florina pepper, yellow pepper, Greek olive oil, vinegar, and lemon. Figueroa had this o say about the tostada, "The dish came from the idea that Greeks love octopus and some of the best comes from the Mediterranean. Tostada means toasted with the main ingredient being the toasted tortilla. We added the Greek octopus and peppers on top to give It the combined Mexican and Greek flavor." The Whole Red Snapper ($32) is prepared with adobe marinated red snapper, achiote onions, rigani, & Mexico City salad, and is served with corn and grape leaf tortillas, Greek olive salsa and a homemade hot sauce. Hopefully another time I'll get to enjoy these dishes. 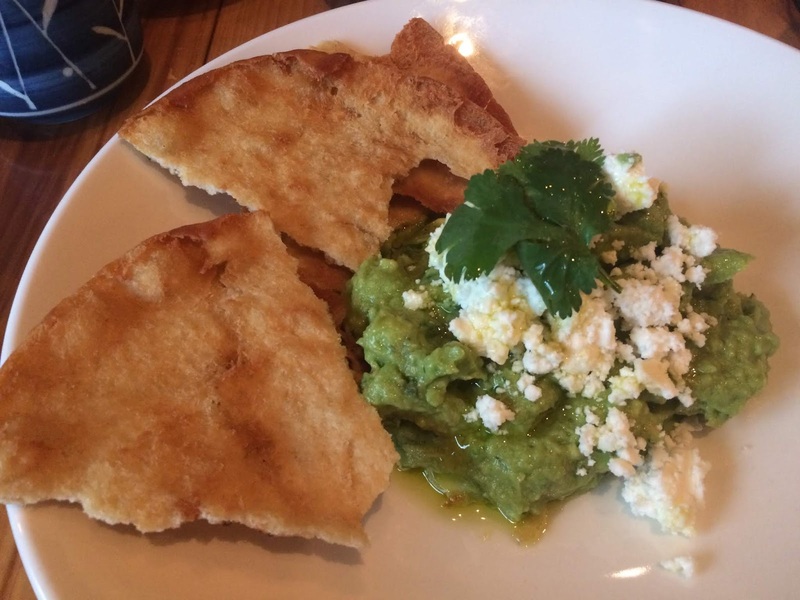 We began our dinner with the Grecomole ($12), mashed avocados and herbs, feta, grated cotija, and fried pita. Though I'm not usually a guacamole fan, I enjoyed this dish, savoring the salty and creamy kick from the feta and cotija. An excellent opening to our meal, setting the stage for the rest of the fusion cuisine. All the guests received a complimentary dish of Guajillo Hummus, with a stack of warm pita slices. The hummus was delicious, with a mild spiciness, and I slathered plenty of it on the pita. Committee does a great job with their various spreads and this was no exception. The Greek Ceviche ($18), made with white fish, tsipoura, lime juice, red onion, Greek yogurt, aji amarillo, sweet potato, cilantro, and fried calamari, was a complex melange of flavors. The fried calamari were tender and lightly sweet, and the white fish was meaty, tender and flavorful. It was a well balanced dish, each bite bringing plenty to your mouth. The Grilled Halloumi ($12) was topped by guajillo vinaigrette, watercress, and mezcal infused oranges. As usual, their grilled halloumi was quite tasty, a firm cheese with a nice sear to it, while the vinaigrette added a pleasant, light spiciness. The oranges contributed a subtle smokiness and a nice burst of acid. The Beef Keftedakia ($14), basically Greek meatballs, were topped by a tomato-chipotle sauce and Mexican crema. They were meaty and moist, with a slight crunchy sear, and enhanced by the sauce and crema, which brought to mind the flavors of Mexico. The menu had three different Tacos (3 tacos for $14), including the Pork Gyro Tacos (which we didn't eat), with avocado tzatziki, salsa verde, queso fresco, atop a corn tortilla. However, we did enjoy the Pescado Tacos, overflowing with fried smelts, skordalia, and Greek olive salsa, atop a house-made corn tortilla. A take on a fish taco, the addition of the fried smelts was a tasty option, adding a nice texture to the dish, and the skordali and salsa brought additional complexity and flavor. The tortillas were light, with a nice corn flavor, and were as good as any I've had in the local area. My favorite dish of the evening were the Lamb Barbacoa Tacos, made with braised lamb, tzatziki, and Fix beer (a Greek beer) guajillo, atop grape leaf-corn tortillas. Grapeleafs were crumbled into the mixture of the corn tortillas, providing its different color and texture. They were unique and delicious, such a delightful fusion of cuisines. Who would have thought such a combination could be so tasty? The lamb was moist and tender, just perfectly prepared, and the entirety of the taco worked so well. I could easily see a Greek-Mexican Taco joint doing very well in the Boston area. For Dessert, one of the options was the Churros ($10) with merenda. These hot, donut-like sticks were scrumptious, with a nice blend of sweetness atop them. They possessed an excellent crunchy exterior with a softer, fluffier interior. I've always loved churros and Committee did well by this traditional dish. To put a Greek spin on the Churros, they added a dish of Merenda, which is kind of the Greek version of Nutella, except there is less hazelnut and more chocolate flavor. An excellent dish for dipping the churros, and I think I prefer this to the strong hazelnut of the Nutella. There was also Dulce de Leche Ice Cream ($8), with Baklava crumble, another winner dessert. The creamy ice cream had rich flavors, enhanced by the crunchy texture of the baklava. The dish wasn't too sweet or heavy, and it will make you wonder by baklava crumble isn't more of a thing. Committee's Grexico menu worked well on a number of levels, cleverly fusing the two cuisines and creating flavorful and interesting dishes. The more that you think about the combinations, the more that they make culinary sense. I was thoroughly impressed with the menu and I'd order any of these dishes again, especially those Lamb Barbacoa Tacos with the grape leaf-corn tortillas. If Greek-Mexican fusion is a burgeoning new trend, then let Boston be one of those trend setters. I sincerely hope that Committee brings back the Grexico menu, or even that they decide to open a restaurant specializing in this cuisine. 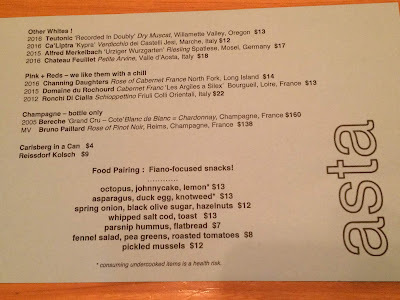 Big kudos to Sous Chef Luis Figueroa and Chef Theo Tsilpanos for making this superb menu. 1) Master Sommelier Brahm Callahan and the team at Harvest invite guests to Rosé the Day Away and explore a variety of rosés on their outdoor oasis patio every Wednesday through Friday, from 4pm-6pm, this summer. They will feature rosé options by the glass or bottle, as well as a rosé sangria and cider expertly selected by Master Sommelier Brahm Callahan. While enjoying the rosé bar, guests can select items from the mid bar menu at 4 PM such as New England Oysters, The Harvest Burger, and the Scituate Lobster Roll. In celebration of Rosé the Day Away’s kick-off week, Executive Chef Tyler Kinnett has prepared complimentary bar bites for each day of the week including Pretzel Sticks with Beer Cheese on Wednesday, Gougeres with Gruyere Cheese Mornay on Thursday, and Arancini with Spring Onion Aioli on Friday. Please call 617-868-2255 to book seats. The Vida Tequila Release Party, will be held outside on June 3, from 12noon-5pm. Vargas and his team will be cooking outside at Vida Cantina, preparing and serving authentic Mexican street food, signature Vida Cantina cocktails, local brews, and of course, celebrating Vida Tequila. Ruben Aceves, Global Ambassador, Tequila Herradura, will be on hand to share tastings and insights of Herradura. There will also be a Mariachi band and a DJ. Everyone is invited. No tickets necessary. Just come as you are and order up some food and drink and have a great time! 3) Glass House, the restaurant, bar, and modern day “meeting house” in the heart of Kendall Square, is kicking the heat up a notch this summer with their new Toasty Tuesdays and Fire Pit Fridays. Enjoy summer nights by the fire with Glass House every Tuesday and Friday. The Cambridge hotspot will be heating things up on the patio all summer long, where guests can get cozy under Glass House blankets, enjoy a glass of wine or other delicious cocktails, and dine from the special patio menu which includes summer favorites like Short Rib Gnocchos (Gnocchi Nachos), Tempura Chicken Skewers, Grilled Jumbo Shrimp, and Falafel Sliders. 4) Chef/Owner Will Gilson and the Puritan and Co. team invite guests to join them for a night of all things rosé at their 4th annual Rosé Rumble. Puritan & Co.’s upcoming Rosé Rumble will offer guests the opportunity to immerse themselves in the best rosés in Boston like a true insider. Taking place on Thursday, June 14th, the fourth annual industry-style tasting event will showcase a variety of rosés for guests to taste, discuss, and learn about while enjoying unlimited bites from Chef Will Gilson and the Puritan and Co. team. The night will feature two, separately ticketed sessions- one at 6 p.m. and one at 8 p.m. Both sessions will end at 10 p.m. Regularly $75, tickets are now available for a special early bird rate of $65 until May 25th. This is an excellent event and I'm sure it will sell out quickly so I highly recommend you buy tickets now. "Every qvevri is, potentially, a microbiological jungle, a sensorial car crash, a celebration of hideousness – unless the vessel itself has been scrupulously prepared, unless the harvest has been carefully sorted and cleaned, unless the vinification practices have been honed and refined." The wines from the country of Georgia are still a niche product in the U.S. but I hope that changes. All wine lovers can find something of interest in the diversity of Georgian wines. In 2017, Georgia exported almost 77 million bottles of wine, about 6.4 million cases. Their top export market is Russia, which currently purchases about 60% of their wines by volume. And the third export market, and which has been growing significantly, is China, with exports doubling from 2015 to 2016. As for specific wine styles, about 50% of Georgia's total production comprises semi-sweet wines, many which end up in Russia. And though qvevri wines get lots of publicity, they comprise no more than 3% of total production. Recently, I attended a seminar, titled "Georgia in Context," and tasting on the wines of Georgia at Puritan & Co. The two presenters included Alice Feiring, a Georgian wine expert and proponent of natural wines, and Taylor Parsons, a sommelier from Los Angeles. Alice has written a book on Georgian wine, For The Love of Wine, which is fascinating and recommended if you are interested in Georgian wines. Back in December 2016, I attended a prior seminar on the wines of Georgia which was led by Taylor. At that time, Taylor approached Georgian wines as a potential buyer, coming at them with fresh eyes. At the recent seminar, Taylor stated that his prior seminar was more "Wow, this is Georgian wine," an indication of the newness of those wines to the U.S. market. Now that those wines are becoming better known, this new seminar would be more about context. As was stated, "Context matters in everything, but especially in wine." Our contextual understanding of wine includes four aspects, including evolution & development, culture, geography/climate/topography, and typicity. A contextual understanding of Georgian wines though is a work in progress, with additional study and research needed to gain greater comprehension of everything that plays a role. A greater understanding will also allow us to provide consumers even more reasons why they should drink Georgian wines. Some general comments were made about the country of Georgia, noting that it has a population of under 4 million people, less than the number of people that live in the Greater Boston area. Much of the country is mountainous terrain, including the Caucasus and Likhi Mountains. 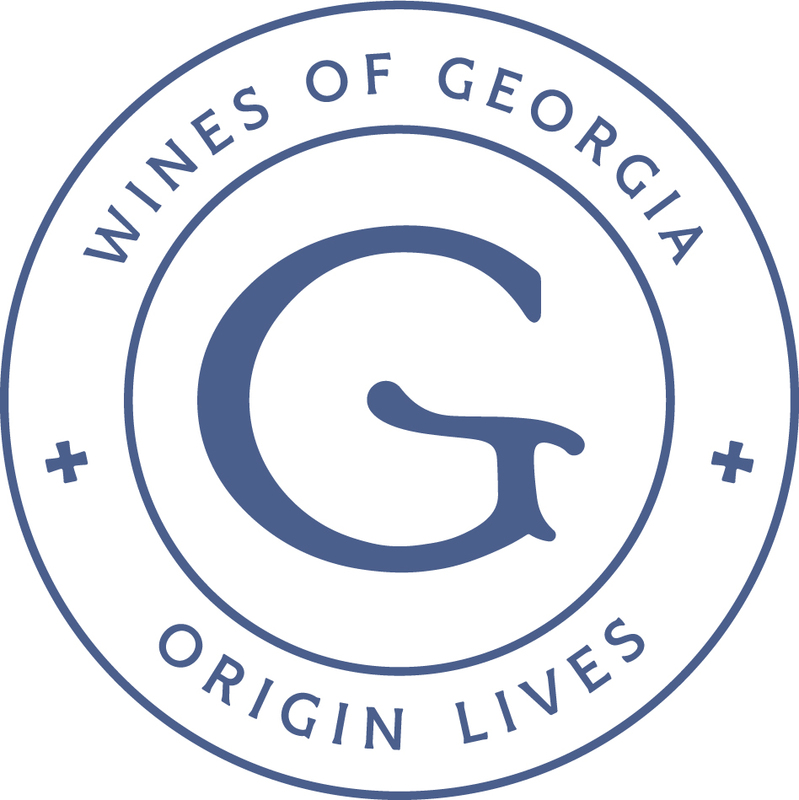 There was then a brief historical sketch of Georgia and its wine industry, which extends back 8,000 years. One important event occurred during the 19th century when Europeans, and especially the French, helped to influence wine production. Another important event occurred during the 1970s, when the overall wine quality of George decreased substantially as Stalin ardently pushed for massive quantity over quality. I've tried to gather more information about the events in this passage but have been unsuccessful so far, but my research continues. If anyone has any more information, I would appreciate it if you contacted me. Back to the seminar. Next, there was an explanation of the three main types of wine making in Georgia: traditional, modern and pragmatic. In general, traditional wine making includes the use of indigenous varieties, stem & skins maceration, the use of qvevri, and no filtration or fining. On the other hand, modern wine making generally uses steel and/or oak, inoculation, no skin & stems maceration for white wines, and the use of filtration and fining. The pragmatic style is a hybrid of the two other styles, using whatever aspects they believe will be best for their wine. Since 2011, a number of home wine makers have made the transformation into commercial wineries. During the time of Stalin, these home wine makers helped keep wine making traditions alive, as well as preserving indigenous grapes species that Stalin cared nothing about. With these people, there is plenty of intuitive wine making, simply following old traditions that have been passed down through the generations. These individuals may not have been formally trained, but they are relying on the knowledge and experience of their ancestors. Considering scientific endeavors, Georgia lacks adequate information on its soils, needing a soil study to examine and review its various soil types and terroir. They do not possess a definitive soil map and that should probably be a priority for the country. That will help them better plant their grapes, decide which areas are better regions for vineyards, and much more. The quality of Georgia wines could be enhanced with a comprehensive soil study. There were some comments on the nature of qvevri, giant earthenware vessels which can be used to ferment and age wine. For example, it is said that you shouldn't be able to taste the qvevri in the wine. Cleanliness of the qvevri is essential to Georgia wine makers. Many wine cellars possess qvevri of different sizes, allowing them to vary production sizes of specific grapes or wines. In general, whites wines fermented in qvevri include skin contact, though a wine with only two weeks of such skin contact may actually be considered a "no skin contact" wine. I was shocked to learn that in Georgia, until the 2013 vintage, there weren't any female winemakers! Currently there are approximately 7 or 8 female winemakers, many second generation daughters who work in the family winery, or even have taken over the ownership. This reminds me in some respects of the Japanese Sake industry, which was also dominated for centuries by men. It wasn't until 1976 that a woman was legally permitted to become a Sake brewer. Prior to that, women often weren't even permitted inside a Sake brewery, especially when brewing was occurring. I will be following up on this aspect of the Georgian wine industry, to highlight the contributions of these women. Now that people have started to become familiar with Georgian wine in general, it may be time to go into deeper detail, to provide them more information on the country's wine diversity. To do that, we can begin to explain about the different wine regions of Georgia, starting with the basic division of West and East. As an example, in the West, Tsolikouri is the main white grape while in the East, Rkatsiteli is the main one. 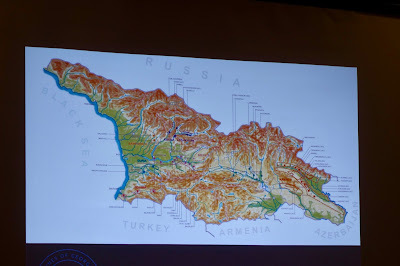 We discussed two main wine regions, each reflective of that basic division, including Imetri (West) and Kakheti (East). The region of Imetri is broken into three sub zones, Higher, Middle and Lower Imetri. It is a mountainous region, with lots of humidity, varied soils, and lush vegetations and forests. There are some subtropical areas as well as ancient forests. The primary grapes of this region include Tsolikouri, Tsitska, Krakhuna, Aladasturi, and Otskhanuri Sapere. The cuisine tends to be lighter, more vegetarian, and spicier, while the wines tend to be lighter and more delicate. The wineries are also often kept outside, as they say, "Qvevri need to feel the rain." The region of Kakheti is broken into two sub zones, Inner and Outer Kakheti, and comprises about 65% of all Georgian vineyards. The region has plenty of sub-alpine plains, with fertile soils (with more clay), and includes the basins of the Alani and Iori Rivers. The primary grapes of this region include Rkatsiteli, Saperavi, Mtsvane Kakhuri, Kisi, and Khikhvi. They also have the greatest number of international grapes. It is a hotter region so white wines generally have longer skin contact, giving them a deeper orange/amber color, to help preserve the wines, almost like UV protection. The cuisine is more "shepherd's food," using the meat of cows and sheep, often grilled, as well as plenty of cheese and bread. Lots of comfort food. Near the end of the seminar, Peter Nelson, the wine director of Puritan & Co., posed an intriguing question, asking "How do persuade people to drink 'skin contact' wines when they respond that all those wines taste the same?" 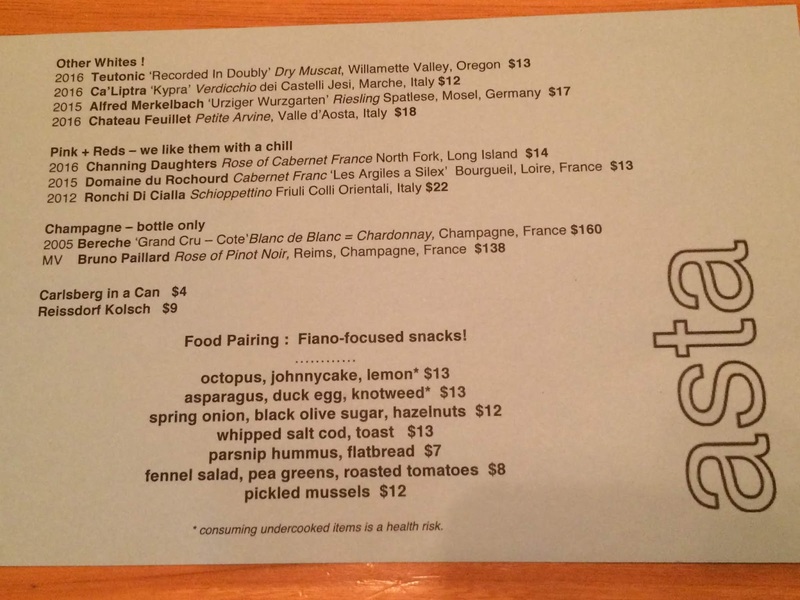 Puritan has a cool wine list, and it includes about 10-15 skin contact wines. Peter noted that the issue is not limited to their customers, but includes some of his peers in the wine industry as well. This issue is also applicable to Japanese Sake, and I've heard that same criticism before, that they all taste the same. Thus, I was very curious as to possible solutions to this dilemma. Taylor stated that "Skin contact is all about the savory." It is not about the fruit, and those who expect fruit in their wines may be turned off by the savory aspect. Taylor then compared the concept to people who say how all "New Oak" wines may taste the same for some people. With Georgian wine, Taylor recommends that you tell people to forget their wine preconceptions, to go beyond the similar textures and seek deeper within the wine. Confronted with something new, people commonly try to create an analogy to something they know. And that can color their opinion of the new item. It takes an active measure to be more open to something that is new, to see it with fresh eyes. And that is the challenge for advocates of niche beverages, whether they are Georgian qvevri white wines or Japanese Sake. One of the last bits of wisdom from the seminar was from Taylor, who started, "Don't apologize about wine. Don't be dogmatic about what is good wine."